Today, hate groups and anti-government extremist groups can be found in every section of Florida, from the Panhandle to Key West. Some engage in criminal activity, while others are more active in propaganda distribution, spreading hatred and intolerance among Florida’s citizens, including its children. 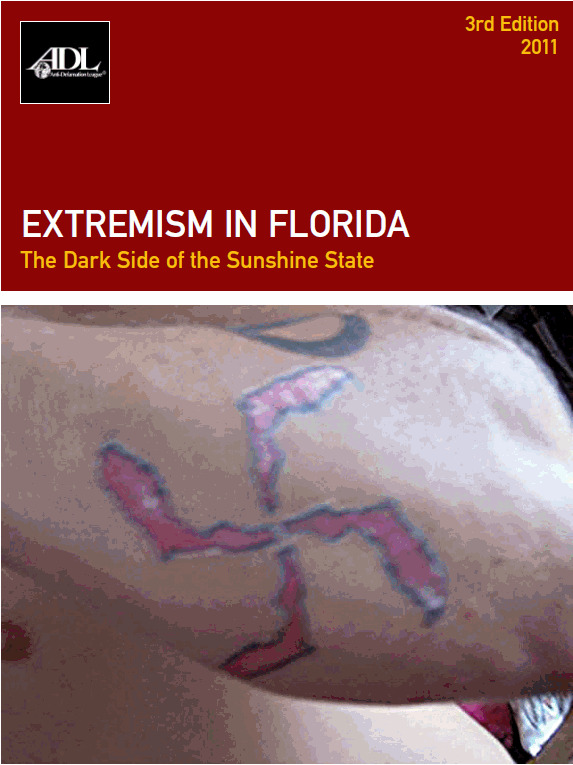 This report surveys recent extremist activity in Florida, of a variety of types, highlighting the groups and individuals most active in Florida, as well as prominent groups from elsewhere that have targeted the state.